One of the old favorites. This classic filament prints to a shiny opaque black. Whether you’re making yourself a pair of thick-rimmed glasses, a black tie or a Ford Model T this colour is a store cupboard must have. 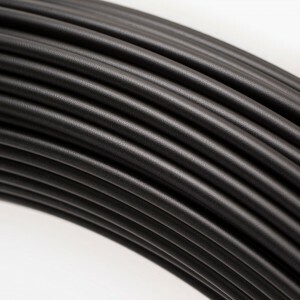 Your filament comes packaged for protection and storage. Choose from 1.75 or 2.85mm diameter, available by the meter (up to 90m) or in 100 meter loose coils.